← Two to Mango Party a Smash! Off to a Tiki Start for 2013! 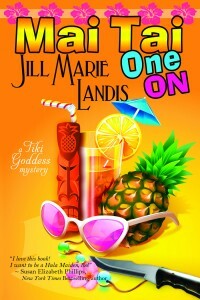 New readers and old friends have found The Tiki Goddess Mystery series thanks to a wild and crazy December of Amazon promotions for both MAI TAI ONE ON and TWO TO MANGO. With specials running all month long both books climbed the best seller lists and MAI TAI ONE ON even went to #1 on the Free book list for Amazon Kindle downloads. Well, of course, you might say. Why not? After all, it was free. But considering the long long list of free books available for Amazon kindle downloads … 54,714 at this moment to be exact…I was actually stunned when I got the news … and it takes a lot to stun a Tiki Goddess! What does that mean for me and for the fans of the Hula Maidens? 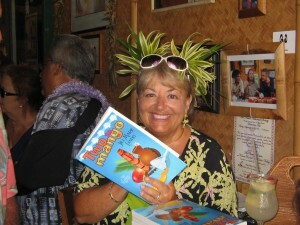 Well, it means more folks will be reading TWO TO MANGO and waiting anxiously for book #3, THREE TO GET LEI’D. They’re already threatening to riot if there’s not another book signing party at the Tahiti Nui soon! For the next few weeks I’m going to be finishing up the manuscript and getting it off to my fabulous publishers at Bell Bridge Books, Deb Smith and Debra Dixon. These women had the vision it takes to believe that books set in Hawaii will sell if offered to readers. Nothing like some success to light a fire under this Goddess. Sure, I’d rather be dancing hula and working out with the old cocktail shaker than writing, but there are more tales of mystery, murder and mayhem to be told and someone with a whacky but adorable bunch of friends needs to be writing them. So for now, a hui hou! ‘Til we meet again…wish me luck.